Elsewhere on this site I mentioned that most wineries tend to need the same handful of marketing tools: tasting notes and data sheets, a club brochure and sign up form, and some sort of cover note for wine releases and other notifications. These are typically treated as separate pieces of communication, with few synergies between them. We took a different path and crafted everything to work within a 3-1/2” x 8-1/2” format and then placed all of the elements into an embossed paper wrapper. 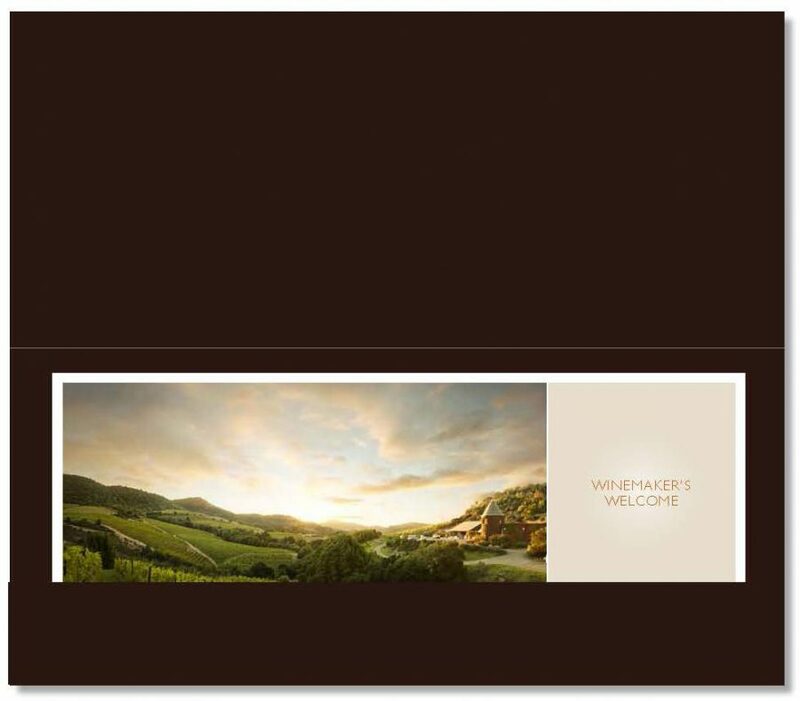 The result is an elegant, organized presentation that can be used for all sorts of needs: member welcome kits, wine release shipments, press kits, you name it. a whole assortment of cards, depending on the need. The cover and a couple of pages of a member brochure. Nothing special about tasting notes. Except our version is sized so you can slip it into your wine rack and store it with the wine it describes. Obviously.